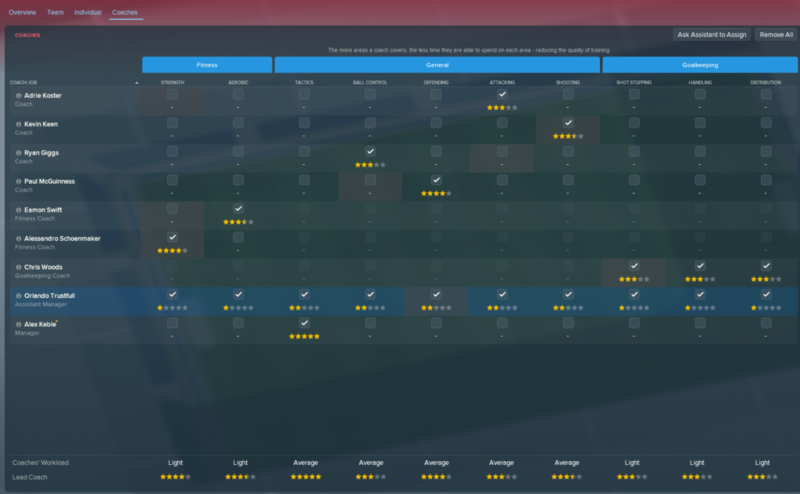 Football Manager is possibly the most addictive video game on the planet but, while fans of the series still haven’t emerged from their bedroom since the release of FM18, newcomers can be forgiven for feeling a tad overwhelmed by the sheer scale of Sports Interactive’s data-crunching franchise. 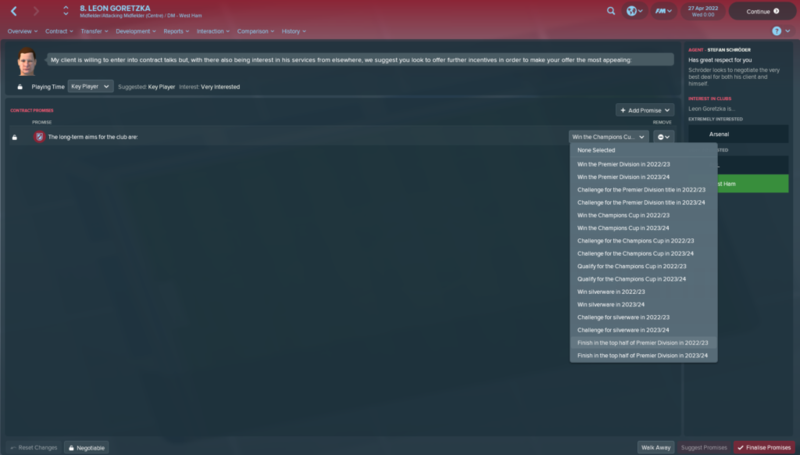 Even after the in-game tutorial has taught you the basics, Football Manager can seem impenetrable, and that’s because users are expected to have graduated through years of their own trial-and-error research as a virtual coach. 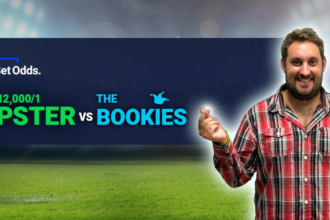 Experienced players know the loopholes to exploit and pitfalls to avoid. Don’t be dogmatic. No matter how aesthetically beautiful your possession football might be, set-pieces will always be an excellent source of goals – and will become your saving grace should you hit a sticky patch. 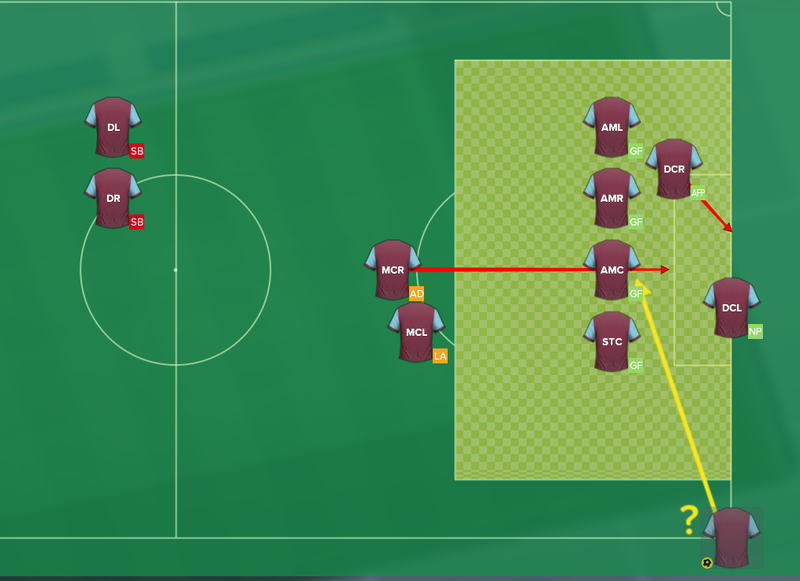 The defaults for corners and free-kicks aren’t the best, although you don’t need to change too much. Make sure your strongest headers of the ball are at the front and back post, set someone to challenge the goalkeeper, but most importantly ensure one player is stood on the edge of the area and one is attacking the ball from deep. Most set-piece goals on Football Manager come from goalmouth scrambles, meaning those arriving late will win the second balls. 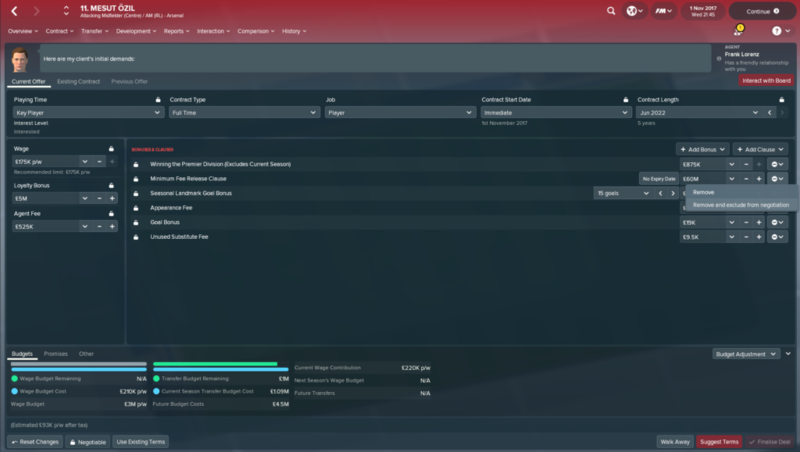 A new feature for FM18 sees players set out targets for the club in the ‘promises’ section of contract negotiation. While you obviously shouldn’t make fanciful claims, it’s worth noting that players will completely lose faith in you if these targets aren’t reached. Consequently, the promise to ‘win silverware by year x’ should be avoided at all costs. Even if you miraculously finish in the top four with a relegation-threatened Premier League club, any player who feels a promise has been broken will have ‘lost trust in the manager’ – a morale trait that cannot be fixed. This is a sneaky one. 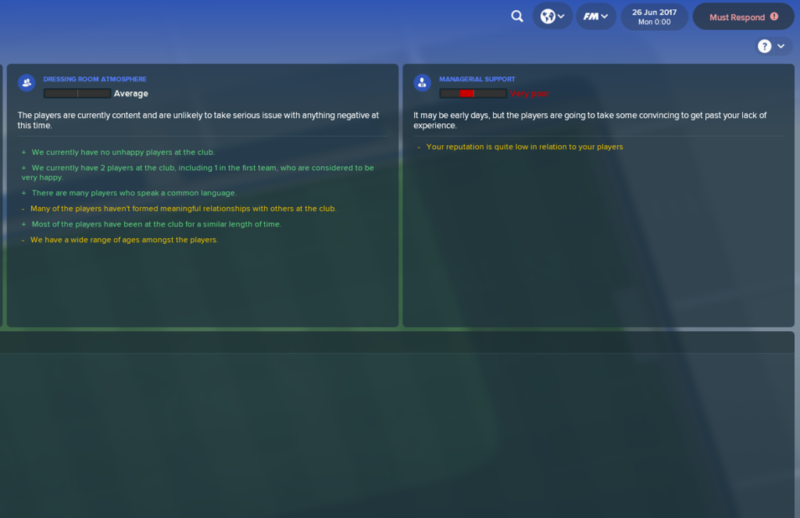 Often during contract negotiations you’ll click ‘suggest terms’ and think the player hasn’t changed much when they come back with a counter offer…only to find out later that they added a very low minimum fee release clause. As in real life, check the small print! It’s also worth noting that the promise ‘allow player to use club as a stepping stone’ should always be removed, as accepting this means a small minimum fee release clause is non-negotiable. Push hard enough and no player on the game will see a release clause as a deal breaker. At every level, you can improve your training by at least one star rating by firing rubbish coaches and searching for available staff with a high attribute in a single training area. Make sure to specialise as much as possible so that each coach only has one thing to deliver, which will dramatically increase the quality of your sessions. You’ll need a lot of coaches to do this, but since all under-23 coaches are included in the training sessions this is achievable at most clubs. The new Squad Dynamics feature makes leaders indispensable. Someone with a high status in the dressing room and a high leadership attribute will get you out of sticky situations time and again by intervening when another player is unhappy. I’ve lost count of the number of times a big player at West Ham has complained about wanting to move to Barcelona, only for Mark Noble to have a word and leave them ‘happy to stay at the club’. His success rate is currently 100%, suggesting this new feature is somewhat overpowered at the moment. Putting yourself in the game is an important part of the addiction/fantasy, but don’t be too romantic about it. 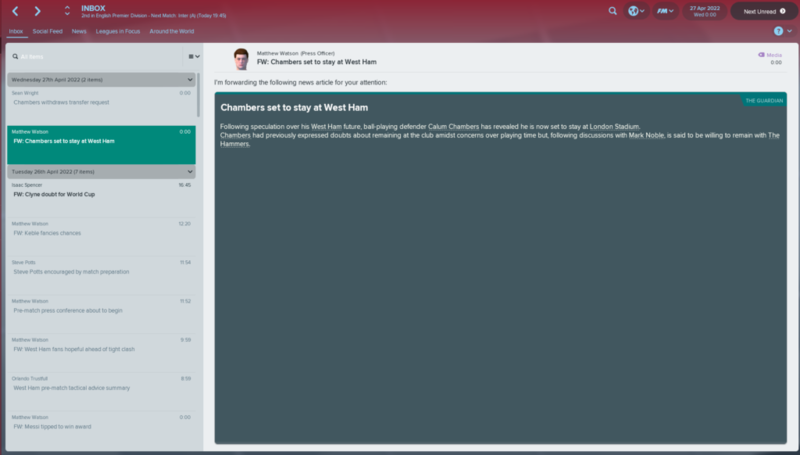 Football Manager is ruthlessly realistic, which means you cannot afford to be truthful about your past playing experience. Football League players will never respect someone who hasn’t played at their level. Look out for Part Two next week and follow the FM18 Project on Twitter.